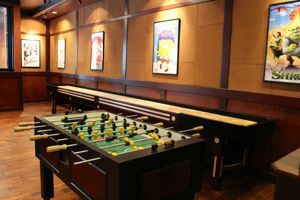 When I heard that Story Tavern—a craft beer pub that’s been serving Burbank since July 2011—unveiled a new game room and patio, I had to drop in to check it out. 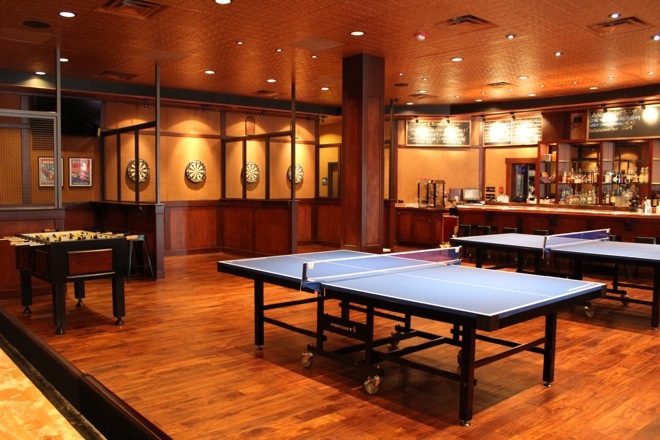 Next door, the new game room is now available to patrons, complete with private dart parlors, shuffleboard, foosball, and Ping-Pong tables. A stunning copper bar—so new it hasn’t yet begun to patina—offers classic cocktails that were popular in L.A. during the first half of last century. And just outside the game room sits a new patio, complete with seating for around 40 people and their pooches. The dog-friendly patio will have treats and water available for man’s best friend, with pet adoption information and a donation jar for nearby Burbank Animal Shelter. The additional eight beer taps added on the game room side brings their grand total to 36 beer taps, joining their two cask ale engines, four wine taps, and six cider taps. Having a focus on cider is no fad; one of the owners lives with Celiac disease and cannot eat gluten. Because of this, almost every item on the menu is or can be modified to accommodate gluten-free requests. Currently, the game room is open all day Thursday through Saturday. TVs and an additional bar space were being installed during my visit, and should be finalized shortly. There is no charge to use any of the game equipment, though manager Hans Brestel lamented that a few opportunists came in over the weekend simply to play, order water, and nibble on free popcorn from the handy cart. Let’s not be those people, OK? Story Tavern, 150 S. San Fernando Blvd., Burbank, 818-567-4200 or storytavernburbank.com.